Beautify your garden with dependable groundcovers that fill bare areas and cascade over the edges of beds and containers. They fill in gaps and provide continuity. Versatile, they can also be planted in containers and hanging baskets. If chosen correctly, they’re low maintenance. They smother weeds, keep the soil cool, and reduce evaporation. Softer than paving, they’re more environmentally friendly. Those with light variegated foliage lighten up dark shady areas. They prevent erosion on slopes and banks. 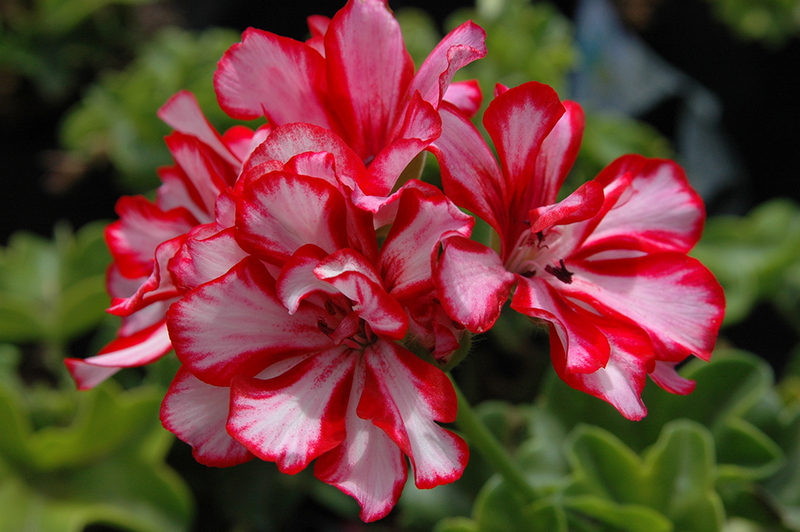 With their glossy leaves and delightful blooms, ivy-leaf pelargoniums are an all-round winner. They grow easy from cuttings and flourish in sunny and lightly shaded positions just about anywhere including in containers. They can even be trained up supports. Apart from a little trimming when they become leggy, they require little maintenance. Deadheading encourages more flowers. 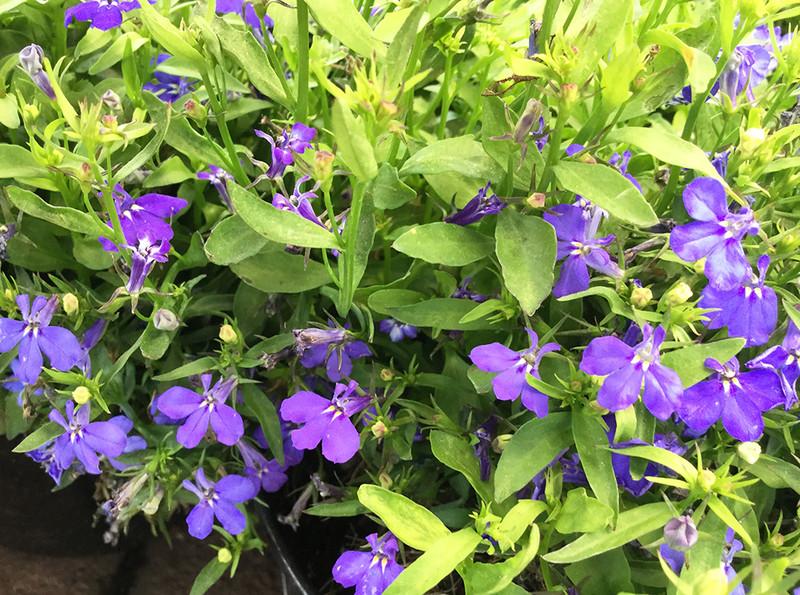 Bees love the pretty little blue flowers that adorn dainty ground-covering lobelia. Only 15cm high, it’s ideal for the front of beds, as edging, as a filler and with taller growing companions in containers. Plant this self-seeding annual in sun and semi-shade. Lysimachia nummularia ‘Goldilocks’ has gorgeous golden foliage and grows in full sun to partial shade. Use it to soften stepping stones, banks, pavers and the edges of containers and look forward to its yellow flowers during summer. It likes damp soil and high-rainfall areas. 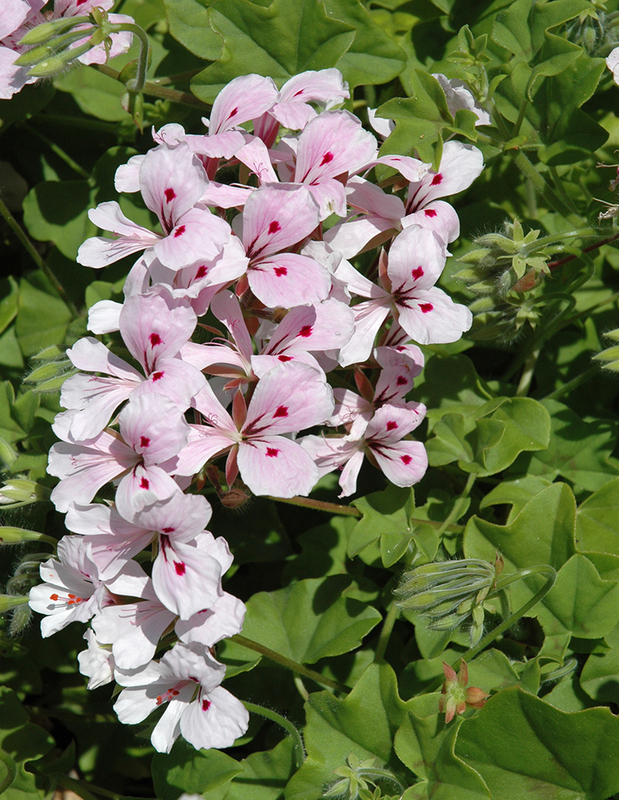 The plump little leaves and brightly coloured blooms of these drought-tolerant, low-growing plants are well-known. 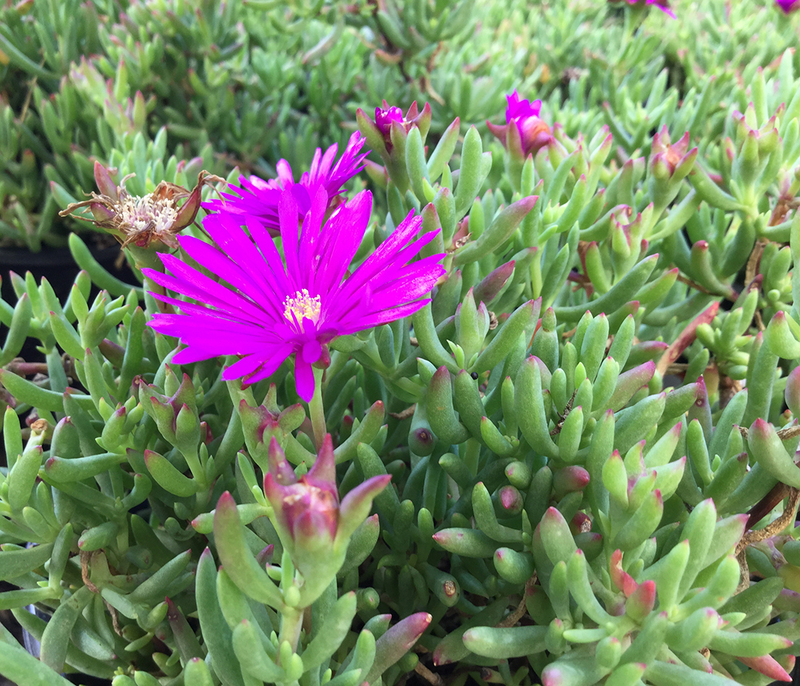 It’s a semi-hardy succulent and the flowers appear from autumn to spring. 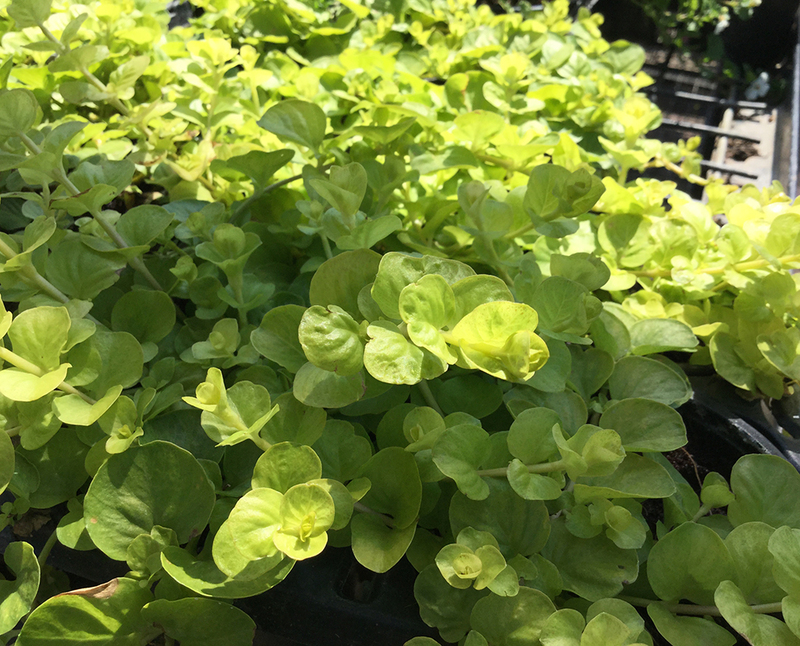 Popular with honey bees and other insects, it’s easily propagated from cuttings. This one called ‘Purple Parade’ bears iridescent blooms that glow in the sunlight.